Born at Marianella, near Naples, 27 September, 1696; died at Nocera de’ Pagani, 1 August, 1787. The eighteenth century was not an age remarkable for depth of spiritual life, yet it produced three of the greatest missionaries of the Church, St. Leonard of Port Maurice, St. Paul of the Cross, and St. Alphonsus Liguori. Alphonsus Mary Antony John Cosmas Damian Michael Gaspard de’ Liguori was born in his father’s country house at Marianella near Naples, on Tuesday, 27 September, 1696. He was baptized two days later in the church of Our Lady of the Virgins, in Naples. The family was an old and noble one, though the branch to which the Saint belonged had become somewhat impoverished. Alphonsus’s father, Don Joseph de’ Liguori was a naval officer and Captain of the Royal Galleys. The Saint’s mother was of Spanish descent, and if, as there can be little doubt, race is an element in individual character, we may see in Alphonsus’s Spanish blood some explanation of the enormous tenacity of purpose which distinguished him from his earliest years. “I know his obstinacy”, his father said of him as a young man; “when he once makes up his mind he is inflexible”. Not many details have come down to us of Alphonsus’s childhood. He was the eldest of seven children and the hope of his house. The boy was bright and quick beyond his years, and made great progress in all kinds of learning. In addition his father made him practice the harpsichord for three hours a day, and at the age of thirteen he played with the perfection of a master. Riding and fencing were his recreations, and an evening game of cards; he tells us that he was debarred from being a good shot by his bad sight. In early manhood he became very fond of the opera, but only that he might listen to the music, for when the curtain went up he took his glasses off, so as not to see the players distinctly. The Neapolitan stage at this time was in a good state, but the Saint had from his earliest years an ascetic repugnance to theaters, a repugnance which he never lost. The childish fault for which he most reproached himself in after-life was resisting his father too strongly when he was told to take part in a drawing-room play. Alphonsus was not sent to school but was educated by tutors under his father’s eye. At the age of sixteen, on 21 January, 1713, he took his degree as Doctor of Laws, although twenty was the age fixed by the statutes. He said himself that he was so small at the time as to be almost buried in his doctor’s gown and that all the spectators laughed. Soon after this the boy began his studies for the Bar, and about the age of nineteen practiced his profession in the courts. In the eight years of his career as advocate, years crowded with work, he is said never to have lost a case. Even if there be some exaggeration in this, for it is not in an advocate’s power always to be on the winning side, the tradition shows that he was extraordinarily able and successful. In fact, despite his youth, he seems at the age of twenty-seven to have been one of the leaders of the Neapolitan Bar. Alphonsus, like so many saints, had an excellent father and a saintly mother. Don Joseph de’ Liguori had his faults. He was somewhat worldly and ambitious, at any rate for his son, and was rough tempered when opposed. But he was a man of genuine faith and piety and stainless life, and he meant his son to be the same. Even when taking him into society in order to arrange a good marriage for him, he wished Alphonsus to put God first, and every year father and son would make a retreat together in some religious house. Alphonsus, assisted by divine grace, did not disappoint his father’s care. A pure and modest boyhood passed into a manhood without reproach. A companion, Balthasar Cito, who afterwards became a distinguished judge, was asked in later years if Alphonsus had ever shown signs of levity in his youth. He answered emphatically: “Never! It would be a sacrilege to say otherwise.” The Saint’s confessor declared that he preserved his baptismal innocence till death. Still there was a time of danger. “Banquets, entertainments, theaters,” he wrote later on—”these are the pleasures of the world, but pleasures which are filled with the bitterness of gall and sharp thorns. Believe me who have experienced it, and now weep over it.” In all this there was no serious sin, but there was no high sanctity either, and God, Who wished His servant to be a saint and a great saint, was now to make him take the road to Damascus. In 1723 there was a lawsuit in the courts between a Neapolitan nobleman, whose name has not come down to us, and the Grand Duke of Tuscany, in which property valued at 500,000 ducats, that to say, $500,000 or 100,000 pounds, was at stake. Alphonsus was one of the leading counsel; we do not know on which side. When the day came the future Saint made a brilliant opening speech and sat down confident of victory. But before he called a witness the opposing counsel said to him in chilling tones: “Your arguments are wasted breath. You have overlooked a document which destroys your whole case.” “What document is that?” said Alphonsus somewhat piqued. “Let us have it.” A piece of evidence was handed to him which he had read and re-read many times, but always in a sense the exact contrary of that which he now saw it to have. The poor advocate turned pale. He remained thunderstruck for a moment; then said in a broken voice: “You are right. I have been mistaken. This document gives you the case.” In vain those around him and even the judge on the bench tried to console him. He was crushed to the earth. He thought his mistake would be ascribed not to oversight but to deliberate deceit. He felt as if his career was ruined, and left the court almost beside himself, saying: “World, I know you now. Courts, you shall never see me more.” For three days he refused all food. Then the storm subsided, and he began to see that his humiliation had been sent him by God to break down his pride and wean him from the world. Confident that some special sacrifice was required of him, though he did not yet know what, he did not return to his profession, but spent his days in prayer, seeking to know God’s will. After a short interval—we do not know exactly how long—the answer came. On 28 August, 1723, the young advocate had gone to perform a favorite act of charity by visiting the sick in the Hospital for Incurables. Suddenly he found himself surrounded by a mysterious light; the house seemed to rock, and an interior voice said: “Leave the world and give thyself to Me.” This occurred twice. Alphonsus left the Hospital and went to the church of the Redemption of Captives. Here he laid his sword before the statue of Our Lady, and made a solemn resolution to enter the ecclesiastical state, and furthermore to offer himself as a novice to the Fathers of the Oratory. He knew that trials were before him. His father, already displeased at the failure of two plans for his son’s marriage, and exasperated at Alphonsus’s present neglect of his profession, was likely to offer a strenuous opposition to his leaving the world. So indeed it proved. He had to endure a real persecution for two months. In the end a compromise was arrived at. Don Joseph agreed to allow his son to become a priest, provided he would give up his proposal joining the Oratory, and would continue to live at home. To this Alphonsus by the advice of his director, Father Thomas Pagano, himself an Oratorian, agreed. Thus was he left free for his real work, the founding of a new religious congregation. On 23 October of the same year, 1723, the Saint put on the clerical dress. In September of the next year he received the tonsure and soon after joined the association of missionary secular priests called the “Neapolitan Propaganda”, membership of which did not entail residence in common. In December, 1724, he received minor orders, and the subdiaconate in September, 1725. On 6 April, 1726, he was ordained deacon, and soon after preached his first sermon. On 21 December of the same year, at the age of thirty, he was ordained priest. For six years he labored in and around Naples, giving missions for the Propaganda and preaching to the lazzaroni of the capital. With the aid of two laymen, Peter Barbarese, a schoolmaster, and Nardone, an old soldier, both of whom he converted from an evil life, he enrolled thousands of lazzaroni in a sort of confraternity called the “Association of the Chapels”, which exists to this day. Then God called him to his life work. Servant of God, Bishop Thomas Falcoia, of the Congregation of the “Pii Operarii” (Pious Workers). 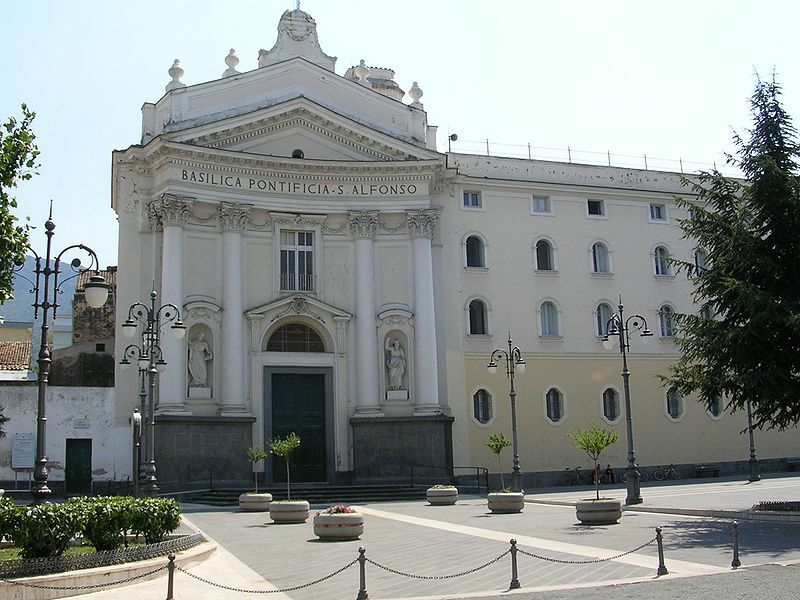 In April 1729, the Apostle of China, Matthew Ripa, founded a missionary college in Naples, which became known colloquially as the “Chinese College”. A few months later Alphonsus left his father’s house and went to live with Ripa, without, however, becoming a member of his society. In his new abode he met a friend of his host’s, Father Thomas Falcoia, of the Congregation of the “Pii Operarii” (Pious Workers), and formed with him the great friendship of his life. There was a considerable difference in age between the two men, for Falcoia, born in 1663, was now sixty-six, and Alphonsus only thirty-three, but the old priest and the young had kindred souls. Many years before, in Rome, Falcoia had been shown a vision of a new religious family of men and women whose particular aim should be the perfect imitation of the virtues of Our Lord. He had even tried to form a branch of the Institute by uniting twelve priests in a common life at Tarentum, but the community soon broke up. In 1719, together with a Father Filangieri, also one of the “Pii Operarii”, he had refounded a Conservatorium of religious women at Scala on the mountains behind Amalfi. But as he drew up a rule for them, formed from that of the Visitation nuns, he does not seem to have had any clear idea of establishing the new institute of his vision. God, however, intended the new institute to begin with these nuns of Scala. In 1724, soon after Alphonsus left the world, a postulant, Julia Crostarosa, born in Naples on 31 October, 1696, and hence almost the same age as the Saint, entered the convent of Scala. She became known in religion as Sister Maria Celeste. In 1725, while still a novice, she had a series of visions in which she saw a new order (apparently of nuns only) similar to that revealed to Falcoia many years before. Even its Rule was made known to her. She was told to write it down and show it to the director of the convent, that is to Falcoia himself. While affecting to treat the novice with severity and to take no notice of her visions, the director was surprised to find that the Rule which she had written down was a realization of what had been so long in his mind. He submitted the new Rule to a number of theologians, who approved of it, and said it might be adopted in the convent of Scala, provided the community would accept it. But when the question was put to the community, opposition began. Most were in favour of accepting, but the superior objected and appealed to Filangieri, Falcoia’s colleague in establishing the convent, and now, as General of the “Pii Operarii”, his superior. Filangieri forbade any change of rule and removed Falcoia from all communication with the convent. Matters remained thus for some years. About 1729, however, Filangieri died, and on 8 October, 1730, Falcoia was consecrated Bishop of Castellamare. He was now free, subject to the approval of the Bishop of Scala, to act with regard to the convent as he thought best. It happened that Alphonsus, ill and overworked, had gone with some companions to Scala in the early summer of 1730. Unable to be idle, he had preached to the goatherds of the mountains with such success that Nicolas Guerriero, Bishop of Scala, begged him to return and give a retreat in his cathedral. Falcoia, hearing of this, begged his friend to give a retreat to the nuns of his Conservatorium at the same time. Alphonsus agreed to both requests and set out with his two friends, John Mazzini and Vincent Mannarini, in September, 1730. The result of the retreat to the nuns was that the young priest, who before had been prejudiced by reports in Naples against the proposed new Rule, became its firm supporter, and even obtained permission from the Bishop of Scala for the change. In 1731, the convent unanimously adopted the new Rule, together with a habit of red and blue, the traditional colours of Our Lord’s own dress. One branch of the new Institute seen by Falcoia in vision was thus established. The other was not to be long delayed. No doubt Thomas Falcoia had for some time hoped that the ardent young priest, who was so devoted to him, might, under his direction, be the founder of the new Order he had at heart. a fresh vision of Sister Maria Celeste seemed to show that such was the will of God. On 3 October, 1731, the eve of the feast of St. Francis, she saw Our Lord with St. Francis on His right hand and a priest on His left. 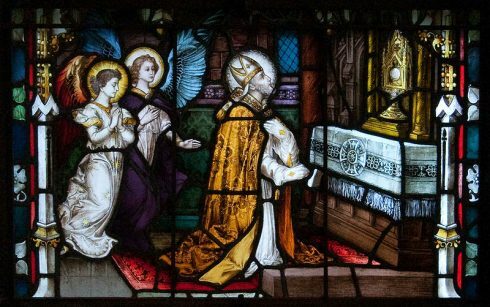 A voice said “This is he whom I have chosen to be head of My Institute, the Prefect General of a new Congregation of men who shall work for My glory.” The priest was Alphonsus. Soon after, Falcoia made known to the latter his vocation to leave Naples and establish an order of missionaries at Scala, who should work above all for the neglected goatherds of the mountains. A year of trouble and anxiety followed. The Superior of the Propaganda and even Falcoia’s friend, Matthew Ripa, opposed the project with all their might. But Alphonsus’s director, Father Pagano; Father Fiorillo, a great Dominican preacher; Father Manulio, Provincial of the Jesuits; and Vincent Cutica, Superior of the Vincentians, supported the young priest, and, 9 November, 1732, the “Congregation of the Most Holy Redeemer”, or as it was called for seventeen years, “of the Most Holy Savior”, was begun in a little hospice belonging to the nuns of Scala. Though St. Alphonsus was founder and de facto head of the Institute, its general direction in the beginning, as well as the direction of Alphonsus’s conscience, was undertaken by the Bishop of Castellamare and it was not till the latter’s death, 20 April, 1743, that a general chapter was held and the Saint was formally elected Superior-General. In fact, in the beginning, the young priest in his humility would not be Superior even of the house, judging one of his companions, John Baptist Donato, better fitted for the post because he had already had some experience of community life in another institute. After 1752 Alphonsus gave fewer missions. His infirmities were increasing, and he was occupied a good deal with his writings. His promotion to the episcopate in 1762 led to a renewal of his missionary activity, but in a slightly different form. The Saint had four houses, but during his lifetime it not only became impossible in the Kingdom of Naples to get any more, but even the barest toleration for those he had could scarcely be obtained. The cause of this was “regalism”, the omnipotence of kings even in matters spiritual, which was the system of government in Naples as in all the Bourbon States. The immediate author of what was practically a lifelong persecution of the Saint was the Marquis Tanucci, who entered Naples in 1734. Naples had been part of the dominions of Spain since 1503, but in 1708 when Alphonsus was twelve years old, it was conquered by Austria during the war of the Spanish Succession. In 1734, however, it was reconquered by Don Carlos, the young Duke of Parma, great-grandson of Louis XIV, and the independent Bourbon Kingdom of the Two Sicilies was established. With Don Carlos, or as he is generally called, Charles III, from his later title as King of Spain, came the lawyer, Bernard Tanucci, who governed Naples as Prime Minister and regent for the next forty-two years. This was to be a momentous revolution for Alphonsus. Had it happened a few years later, the new Government might have found the Redemptorist Congregation already authorized, and as Tanucci’s anti-clerical policy rather showed itself in forbidding new Orders than, with the exception of the Society of Jesus, in suppressing old ones, the Saint might have been free to develop his work in comparative peace. As it was, he was refused the royal exequatur to the Brief of Benedict XIV, and State recognition of his Institute as a religious congregation till the day of his death. There were whole years, indeed, in which the Institute seemed on the verge of summary suppression. The suffering which this brought on Alphonsus, with his sensitive and high-strung disposition, was very great, besides what was worse, the relaxation of discipline and loss of vocations which it caused in the Order itself. Alphonsus, however, was unflagging in his efforts with the Court. It may be he was even too anxious, and on one occasion when he was over-whelmed by a fresh refusal, his friend the Marquis Brancone, Minister for Ecclesiastical Affairs and a man of deep piety, said to him gently: “It would seem as if you placed all your trust here below”; on which the Saint recovered his peace of mind. A final attempt to gain the royal approval, which seemed as if at last it had been successful, led to the crowning sorrow of Alphonsus’s life: the division and apparent ruin of his Congregation and the displeasure of the Holy See. This was in 1780, when Alphonsus was eighty-three years old. But, before relating the episode of the “Regolamento”, as it is called, we must speak of the period of the Saint’s episcopate which intervened. In the year 1747, King Charles of Naples wished to make Alphonsus Archbishop of Palermo, and it was only by the most earnest entreaties that he was able to escape. In 1762, there was no escape and he was constrained by formal obedience to the Pope to accept the Bishopric of St. Agatha of the Goths, a very small Neapolitan diocese lying a few miles off the road from Naples to Capua. Here with 30,000 uninstructed people, 400 mostly indifferent and sometimes scandalous secular clergy, and seventeen more or less relaxed religious houses to look after, in a field so overgrown with weeds that they seemed the only crop, he wept and prayed and spent days and nights in unremitting labor for thirteen years. More than once he faced assassination unmoved. In a riot which took place during the terrible famine that fell upon Southern Italy in 1764, he saved the life of the syndic of St. Agatha by offering his own to the mob. He fed the poor, instructed the ignorant, reorganized his seminary, reformed his convents, created a new spirit in his clergy, banished scandalous noblemen and women of evil life with equal impartiality, brought the study of theology and especially of moral theology into honor, and all the time was begging pope after pope to let him resign his office because he was doing nothing for his diocese. To all his administrative work we must add his continual literary labors, his many hours of daily prayer, his terrible austerities, and a stress of illness which made his life a martyrdom. 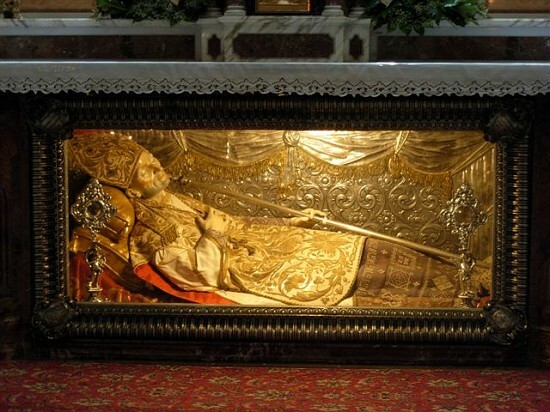 Alphonsus returned to his little cell at Nocera in July, 1775, to prepare, as he thought, for a speedy and happy death. Twelve years, however, still separated him from his reward, years for the most part not of peace but of greater afflictions than any which had yet befallen him. By 1777, the Saint, in addition to four houses in Naples and one in Sicily, had four others at Scifelli, Frosinone, St. Angelo a Cupolo, and Beneventum, in the States of the Church. In case things became hopeless in Naples, he looked to these houses to maintain the Rule and Institute. In 1780, a crisis arose in which they did this, yet in such a way as to bring division in the Congregation and extreme suffering and disgrace upon its founder. The crisis arose in this way. From the year 1759 two former benefactors of the Congregation, Baron Sarnelli and Francis Maffei, by one of those changes not uncommon in Naples, had become its bitter enemies, and waged a vendetta against it in the law courts which lasted for twenty-four years. Sarnelli was almost openly supported by the all-powerful Tanucci, and the suppression of the Congregation at last seemed a matter of days, when on 26 October, 1776, Tanucci, who had offended Queen Maria Carolina, suddenly fell from power. 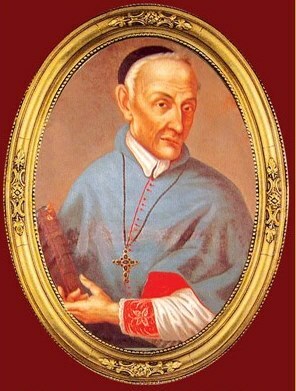 Under the government of the Marquis della Sambuca, who, though a great regalist, was a personal friend of the Saint’s, there was promise of better times, and in August, 1779, Alphonsus’s hopes were raised by the publication of a royal decree allowing him to appoint superiors in his Congregation and to have a novitiate and house of studies. The Government throughout had recognized the good effect of his missions, but it wished the missionaries to be secular priests and not a religious order. The Decree of 1779, however, seemed a great step in advance. Alphonsus, having got so much, hoped to get a little more, and through his friend, Mgr. Testa, the Grand Almoner, even to have his Rule approved. He did not, as in the past, ask for an exequatur to the Brief of Benedict XIV, for relations at the time were more strained than ever between the Courts of Rome and Naples; but he hoped the king might give an independent sanction to his Rule, provided he waived all legal right to hold property in common, which he was quite prepared to do. It was all-important to the Fathers to be able to rebut the charge of being an illegal religious congregation, which was one of the chief allegations in the ever-adjourned and ever-impending action by Baron Sarnelli. Perhaps in any case the submission of their Rule to a suspicious and even hostile civil power was a mistake. At all events, it proved disastrous in the result. Alphonsus being so old and so inform—he was eighty-five, crippled, deaf, and nearly blind—his one chance of success was to be faithfully served by friends and subordinates, and he was betrayed at every turn. His friend the Grand Almoner betrayed him; his two envoys for negotiating with the Grand Almoner, Fathers Majone and Cimino, betrayed him, consultors general though they were. His very confessor and vicar general in the government of his Order, Father Andrew Villani, joined in the conspiracy. In the end the Rule was so altered as to be hardly recognizable, the very vows of religion being abolished. To this altered Rule or “Regolamento”, as it came to be called, the unsuspecting Saint was induced to put his signature. It was approved by the king and forced upon the stupefied Congregation by the whole power of the State. A fearful commotion arose. Alphonsus himself was not spared. Vague rumors of impending treachery had got about and had been made known to him, but he had refused to believe them. “You have founded the Congregation and you have destroyed it”, said one Father to him. The Saint only wept in silence and tried in vain to devise some means by which his Order might be saved. His best plan would have been to consult the Holy See, but in this he had been forestalled. The Fathers in the Papal States, with too precipitate zeal, in the very beginning denounced the change of Rule to Rome. Pius VI, already deeply displeased with the Neapolitan Government, took the fathers in his own dominions under his special protection, forbade all change of rule in their houses, and even withdrew them from obedience to the Neapolitan superiors, that is to St. Alphonsus, till an inquiry could be held. A long process followed in the Court of Rome, and on 22 September, 1780, a provisional Decree, which on 24 August, 1781, was made absolute, recognized the houses in the Papal States as alone constituting the Redemptorist Congregation. Father Francis de Paula, one of the chief appellants, was appointed their Superior General, “in place of those”, so the brief ran, “who being higher superiors of the said Congregation have with their followers adopted a new system essentially different from the old, and have deserted the Institute in which they were professed, and have thereby ceased to be members of the Congregation.” So the Saint was cut off from his own Order by the Pope who was to declare him “Venerable”. In this state of exclusion he lived for seven years more and in it he died. It was only after his death, as he had prophesied, that the Neapolitan Government at last recognized the original Rule, and that the Redemptorist Congregation was reunited under one head (1793). Alphonsus had still one final storm to meet, and then the end. About three years before his death he went through a veritable “Night of the Soul”. Fearful temptations against every virtue crowded upon him, together with diabolical apparitions and illusions, and terrible scruples and impulses to despair which made life a hell. At last came peace, and on 1 August, 1787, as the midday Angelus was ringing, the Saint passed peacefully to his reward. He had nearly completed his ninety-first year. He was declared “Venerable”, 4 May, 1796; was beatified in 1816, and canonized in 1839. In 1871, he was declared a Doctor of the Church. “Alphonsus was of middle height”, says his first biographer, Tannoia; “his head was rather large, his hair black, and beard well-grown.” He had a pleasant smile, and his conversation was very agreeable, yet he had great dignity of manner. He was a born leader of men. His devotion to the Blessed Sacrament and to Our Lady was extraordinary. He had a tender charity towards all who were in trouble; he would go to any length to try to save a vocation; he would expose himself to death to prevent sin. He had a love for the lower animals, and wild creatures who fled from all else would come to him as to a friend. Psychologically, Alphonsus may be classed among twice-born souls; that is to say, there was a definitely marked break or conversion, in his life, in which he turned, not from serious sin, for that he never comitted, but from comparative worldliness, to thorough self-sacrifice for God. Alphonsus’s temperament was very ardent. He was a man of strong passions, using the term in the philosophic sense, and tremendous energy, but from childhood his passions were under control. Yet, to take anger alone, though comparatively early in life he seemed dead to insult or injury which affected himself, in cases of cruelty, or of injustice to others, or of dishonor to God, he showed a prophet’s indignation even in old age. Ultimately, however, anything merely human in this had disappeared. At the worst, it was only the scaffolding by which the temple of perfection was raised. Indeed, apart from those who become saints by the altogether special grace of martyrdom, it may be doubted if many men and women of phlegmatic temperament have been canonized. The differentia of saints is not faultlessness but driving-power, a driving-power exerted in generous self-sacrifice and ardent love of God. The impulse to this passionate service of God comes from Divine grace, but the soul must correspond (which is also a grace of God), and the soul of strong will and strong passions corresponds best. The difficulty about strong wills and strong passions is that they are hard to tame, but when they are tamed they are the raw material of sanctity. Not less remarkable than the intensity with which Alphonsus worked is the amount of work he did. His perseverance was indomitable. He both made and kept a vow not to lose a single moment of time. He was helped in this by his turn of mind which was extremely practical. Though a good dogmatic theologian—a fact which has not been sufficiently recognized—he was not a metaphysician like the great scholastics. He was a lawyer, not only during his years at the Bar, but throughout his whole life—a lawyer, who to skilled advocacy and an enormous knowledge of practical detail added a wide and luminous hold of underlying principles. It was this which made him the prince of moral theologians, and gained him, when canonization made it possible, the title of “Doctor of the Church”. This combination of practical common sense with extraordinary energy in administrative work ought to make Alphonsus, if he were better known, particularly attractive to the English-speaking nations, especially as he is so modern a saint. But we must not push resemblances too far. 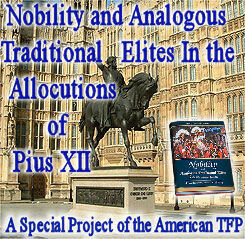 If in some things Alphonsus was an Anglo-Saxon, in others he was a Neapolitan of the Neapolitans, though always a saint. He often writes as a Neapolitan to Neapolitans. Were the vehement things in his letters and writings, especially in the matter of rebuke or complaint, to appraised as if uttered by an Anglo-Saxon in cold blood, we might be surprised and even shocked. Neapolitan students, in an animated but amicable discussion, seem to foreign eyes to be taking part in a violent quarrel. St. Alphonsus appeared a miracle of calm to Tannoia. Could he have been what an Anglo-Saxon would consider a miracle of calm, he would have seemed to his companions absolutely inhuman. The saints are not inhuman but real men of flesh and blood, however much some hagiographers may ignore the fact. Basilica Pontificia di Sant’Alfonso Maria de’ Liguori, at Pagani, where St. Alphonsus lived until his death. He who ruled and directed others so wisely, had, where his own soul was concerned, to depend on obedience like a little child. To supplement this, God allowed him in the last years of his life to fall into disgrace with the pope, and to find himself deprived of all external authority, trembling at times even for his eternal salvation. St. Alphonsus does not offer as much directly to the student of mystical theology as do some contemplative saints who have led more retired lives. 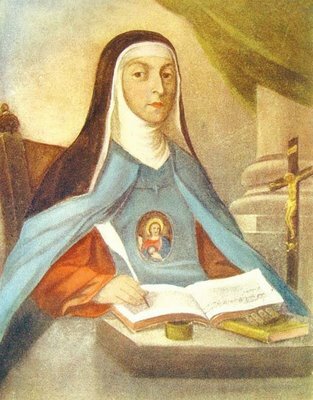 Unfortunately, he was not obliged by his confessor, in virtue of holy obedience, as St. Teresa was, to write down his states of prayer; so we do not know precisely what they were. The prayer he recommended to his Congregation, of which we have beautiful examples in his ascetical works, is affective; the use of short aspirations, petitions, and acts of love, rather than discursive meditation with long reflection. His own prayer was perhaps for the most part what some call “active”, others “ordinary”, contemplation. Of extraordinary passive states, such as rapture, there are not many instances recorded in his life, though there are some. At three different times in his missions, while preaching, a ray of light from a picture of Our Lady darted towards him, and he fell into an ecstasy before the people. In old age he was more than once raised in the air when speaking of God. It was comparatively late in life that Alphonsus became a writer. 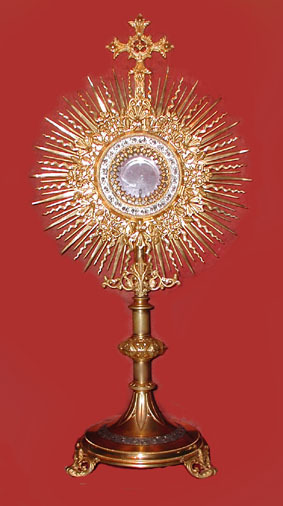 If we except a few poems published in 1733 (the Saint was born in 1696), his first work, a tiny volume called “Visits to the Blessed Sacrament”, only appeared in 1744 or 1745, when he was nearly fifty years old. Three years later he published the first sketch of his “Moral Theology” in a single quarto volume called “Annotations to Busembaum”, a celebrated Jesuit moral theologian. He spent the next few years in recasting this work, and in 1753 appeared the first volume of the “Theologia Moralis”, the second volume, dedicated to Benedict XIV, following in 1755. Nine editions of the “Moral Theology” appeared in the Saint’s life-time, those of 1748, 1753-1755, 1757, 1760, 1763, 1767, 1773, 1779, and 1785, the “Annotations to Busembaum” counting as the first. In the second edition the work received the definite form it has since retained, though in later issues the Saint retracted a number of opinions, corrected minor ones, and worked at the statement of his theory of Equiprobabilism till at last he considered it complete. In addition, he published many editions of compendiums of his larger work, such as the “Homo Apostolicus”, made in 1759. The “Moral Theology”, after a historical introduction by the Saint’s friend, P. Zaccaria, S.J., which was omitted, however, from the eighth and ninth editions, begins with a treatise “De Conscientia”, followed by one “De Legibus”. These form the first book of the work, while the second contains the treatises on Faith, Hope, and Charity. The third book deals with the Ten Commandments, the fourth with the monastic and clerical states, and the duties of judges, advocates, doctors, merchants, and others. The fifth book has two treatises “De Actibus Humanis” and “De Peccatis”; the sixth is on the sacraments, the seventh and last on the censures of the Church. 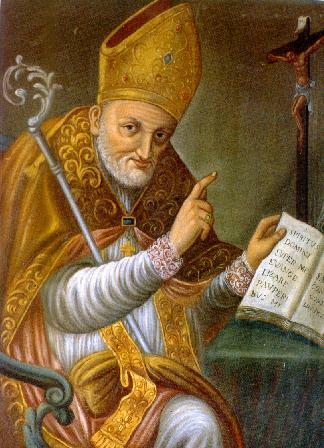 St. Alphonsus as a moral theologian occupies the golden mean between the schools tending either to laxity or to rigor which divided the theological world of his time. When he was preparing for the priesthood in Naples, his masters were of the rigid school, for though the center of Jansenistic disturbance was in northern Europe, no shore was so remote as not to feel the ripple of its waves. When the Saint began to hear confessions, however, he soon saw the harm done by rigorism, and for the rest of his life he inclined more to the mild school of the Jesuit theologians, whom he calls “the masters of morals”. St. Alphonsus, however, did not in all things follow their teaching, especially on one point much debated in the schools; namely, whether we may in practice follow an opinion which denies a moral obligation, when the opinion which affirms a moral obligation seems to us to be altogether more probable. This is the great question of “Probabilism”. 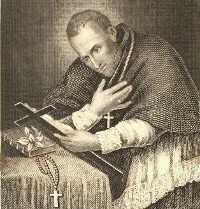 St. Alphonsus, after publishing anonymously (in 1749 and 1755) two treatises advocating the right to follow the less probable opinion, in the end decided against that lawfulness, and in case of doubt only allowed freedom from obligation where the opinions for and against the law were equal or nearly equal. He called his system Equiprobabilism. It is true that theologians even of the broadest school are agreed that, when an opinion in favor of the law is so much more probable as to amount practically to moral certainty, the less probable opinion cannot be followed, and some have supposed that St. Alphonsus meant no more than this by his terminology. According to this view he chose a different formula from the Jesuit writers, partly because he thought his own terms more exact, and, partly to save his teaching and his congregation as far as possible from the State persecution which after 1764 had already fallen so heavily on the Society of Jesus, and in 1773 was formally to suppress it. It is a matter for friendly controversy, but it seems there was a real difference, though not as great in practice as is supposed, between the Saint’s later teaching and that current in the Society. Alphonsus was a lawyer, and as a lawyer he attached much importance to the weight of evidence. In a civil action a serious preponderance of evidence gives one side the case. If civil courts could not decide against a defendant on greater probability, but had to wait, as a criminal court must wait, for moral certainty, many actions would never be decided at all. St. Alphonsus likened the conflict between law and liberty to a civil action in which the law has the onus probandi, although greater probabilities give it a verdict. Pure probabilism likens it to a criminal trial, in which the jury must find in favour of liberty (the prisoner at the bar) if any single reasonable doubt whatever remain in its favor. Furthermore, St. Alphonsus was a great theologian, and so attached much weight to intrinsic probability. He was not afraid of making up his mind. “I follow my conscience”, he wrote in 1764, “and when reason persuades me I make little account of moralists.” To follow an opinion in favor of liberty without weighing it, merely because it is held by someone else, would have seemed to Alphonsus an abdication of the judicial office with which as a confessor he was invested. Still it must in fairness be admitted that all priests are not great theologians able to estimate intrinsic probability at its true worth, and the Church herself might be held to have conceded something to pure probabilism by the unprecedented honors she paid to the Saint in her Decree of 22 July, 1831, which allows confessors to follow any of St. Alphonsus’s own opinions without weighing the reasons on which they were based. Besides his Moral Theology, the Saint wrote a large number of dogmatic and ascetical works nearly all in the vernacular. The “Glories of Mary”, “The Selva”, “The True Spouse of Christ”, “The Great Means of Prayer”, “The Way of Salvation”, “Opera Dogmatica, or History of the Council of Trent”, and “Sermons for all the Sundays in the Year”, are the best known. He was also a poet and musician. His hymns are justly celebrated in Italy. Quite recently, a duet composed by him, between the Soul and God, was found in the British Museum bearing the date 1760 and containing a correction in his own handwriting. Though playing the harpsichord as child, St. Alphonsus played the spinet for the rest of his life. Some of the many songs he composed are: A Maria Nostra Speranza, Pe la Nascita di Gesu, Filio Dormi, Mondo piu per me non sei, Evviva Maria, and Partendo dal Mondo. Finally, St. Alphonsus was a wonderful letter-writer, and the mere salvage of his correspondence amounts to 1,451 letters, filling three large volumes. It is not necessary to notice certain non-Catholic attacks on Alphonsus as a patron of lying. St. Alphonsus was so scrupulous about truth that when, in 1776, the regalist, Mgr. Filingeri, was made Archbishop of Naples, the Saint would not write to congratulate the new primate, even at the risk of making another powerful enemy for his persecuted Congregation, because he thought he could not honestly say he “was glad to hear of the appointment.” It will be remembered that even as a young man his chief distress at his breakdown in court was the fear that his mistake might be ascribed to deceit. The question as to what does or does not constitute a lie is not an easy one, but it is a subject in itself. Alphonsus said nothing in his “Moral Theology” which is not the common teaching of Catholic theologians. Very few remarks upon his own times occur in the Saint’s letters. The eighteenth century was one series of great wars; that of the Spanish, Polish, and Austrian Succession; the Seven Years’ War, and the War of American Independence, ending with the still more gigantic struggles in Europe, which arose out of the events of 1789. Except in ’45, in all of these, down to the first shot fired at Lexington, the English-speaking world was on one side and the Bourbon States, including Naples, on the other. But to all this secular history about the only reference in the Saint’s correspondence which has come down to us is a sentence in a letter of April, 1744, which speaks of the passage of the Spanish troops who had come to defend Naples against the Austrians. He was more concerned with the spiritual conflict which was going on at the same time. The days were indeed evil. Infidelity and impiety were gaining ground; Voltaire and Rousseau were the idols of society; and the ancien régime, by undermining religion, its one support, was tottering to its fall. Alphonsus was a devoted friend of the Society of Jesus and its long persecution by the Bourbon Courts, ending in its suppression in 1773, filled him with grief. He died on the very eve of the great Revolution which was to sweep the persecutors away, having seen in vision the woes which the French invasion of 1798 was to bring on Naples. An interesting series of portraits might be painted of those who play a part in the Saint’s history: Charles III and his minister Tanucci; Charle’s son Ferdinand, and Ferdinand’s strange and unhappy Queen, Maria Carolina, daughter of Maria Teresa and sister of Marie Antoinette; Cardinals Spinelli, Sersale, and Orsini; Popes Benedict XIV, Clement XIII, Clement XIV, and Pius VI, to each of whom Alphonsus dedicated a volume of his works. Even the baleful shadow of Voltaire falls across the Saint’s life, for Alphonsus wrote to congratulate him on a conversion, which alas, never took place! Again, we have a friendship of thirty years with the great Venetian publishing house of Remondini, whose letters from the Saint, carefully preserved as became business men, fill a quarto volume. Other personal friends of Alphonsus were the Jesuit Fathers de Matteis, Zaccaria, and Nonnotte. A respected opponent was the redoubtable Dominican controversialist, P. Vincenzo Patuzzi, while to make up for hard blows we have another Dominican, P. Caputo, President of Alphonsus’s seminary and a devoted helper in his work of reform. To come to saints, the great Jesuit missionary St. Francis di Geronimo took the little Alphonsus in his arms, blessed him, and prophesied that he would do great work for God; while a Franciscan, St. John Joseph of the Cross, was well known to Alphonsus in later life. Both of them were canonized on the same day as the Holy Doctor, 26 May, 1839. St. Paul of the Cross (1694-1775) and St. Alphonsus, who were altogether contemporaries, seem never to have met on earth, though the founder of the Passionists was a great friend of Alphonsus’s uncle, Mgr. Cavalieri, himself a great servant of God. Other saints and servants of God were those of Alphonsus’s own household, the lay brother, St. Gerard Majella, who died in 1755, and Januarius Sarnelli, Cfsar Sportelli, Dominic Blasucci, and Maria Celeste, all of whom have been declared “Venerable” by the Church. St. Clemens Maria Hofbauer, patron Saint of Vienna. 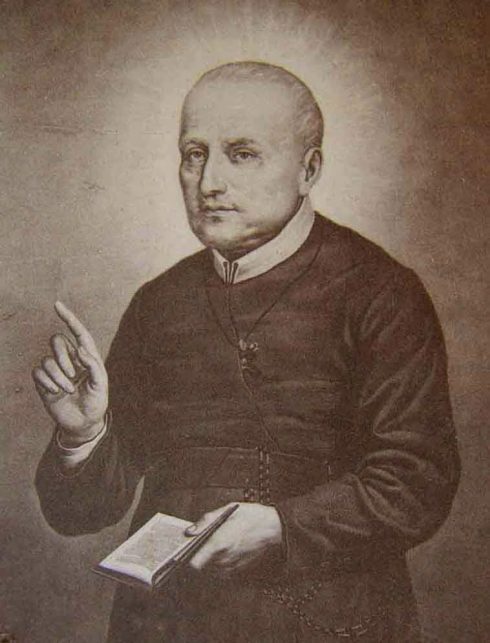 Saint Clement Hofbauer joined the Redemptorist congregation in the aged Saint’s lifetime, though Alphonsus never saw in the flesh the man whom he knew would be the second founder of his Order. 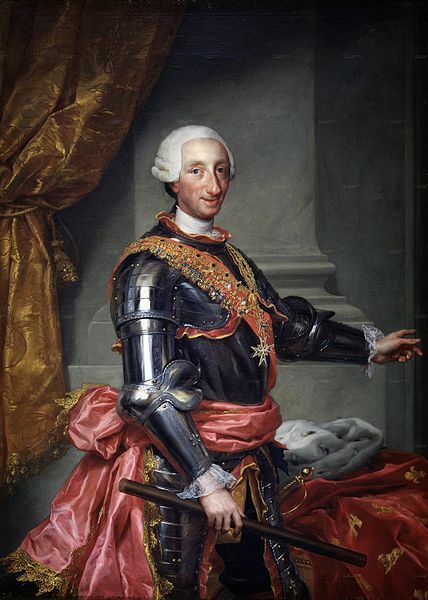 Except for the chances of European war, England and Naples were then in different worlds, but Alphonsus may have seen at the side of Don Carlos when he conquered Naples in 1734, an English boy of fourteen who had already shown great gallantry under fire and was to play a romantic part in history, Prince Charles Edward Stuart. But one may easily overcrowd a narrow canvas and it is better in so slight a sketch to leave the central figure in solitary relief. If any reader of this article will go to original sources and study the Saint’s life at greater length, he will not find his labor thrown away. St. Alphonsus composed this Christmas Carol, Tu Scendi Delle Stelle, which is still sung throughout Italy, including Christmas Eve Mass at the Vatican. Much of the material for a complete life of St. Alphonsus is still in manuscript in the Roman archives of the Redemptorist Congregation and in the archives of the Sacred Congregation of Bishops and Regulars. The foundation of all subsequent lives is the Della vita ed istituto del venerabile Alfonso Maria Liguori, of ANTONY TANNOIA, one of the great biographies of literature. Tannoia was born about 1724 and entered the Redemptorist Congregation in 1746. As he did not die till 1808 (his work appeared in 1799) he was a companion of the Saint for over forty years and an eyewitness of much that he relates. Even where he is not that, he may generally be trusted, as he was a Boswell in collecting facts. His life contains a number of minor inaccuracies, however, and is seriously defective in its account of the founding of his Congregation and of the troubles which fell on it in 1780. Tannoia, also, through some mental idiosyncrasy, manages to give the misleading impression that St. Alphonsus was severe. There is a somewhat unsatisfactory French translation of Tannoia’s work. Mimoires sur la vie et la congregation de St. Alphonse de Liguori (Paris, 1842, 3 vols.). The English translation in the Oratory Series is also rather inadequate. A justly celebrated life is the Vie et Institut de Saint Alphonse-Marie de Liguori, in four volumes, by CARDINAL VILLECOURT, (Tournai, 1893). The German life, DILGSKRON, Leben des heiligen Bischofs und Kirchenlehrers, Alfonsus Maria de Liguori (New York, 1887), is scholarly and accurate. CARDINAL CAPECELATRO has also written a life of the Saint, La Vita di Sant’ Alfonso Maria de Liguori (Rome, 2 vols.). The latest life, BERTHE, Saint Alphonse de Liguori (Paris, 1900, 2 vols.. SVO), gives an extremely full and picturesque account of the Saint’s life and times. This has recently been translated into English with additions and corrections (Dublin, 2 vols., royal SVO); DUMORTIER, Les premihres Redemptoristines (Lille, 1886), and Le Phre Antoine-Marie Tannoia (Paris, 1902), contain some useful information; as does BERRUTI, Lo Spirito di S. Alfonso Maria de Liguori, 3 ed. (Rome, 1896). The Saint’s own letters are of extreme value in supplementing Tannoia. A centenary edition, Lettere di S. Alfonso Maria de’Liguori (ROME, 1887, 3 vols. 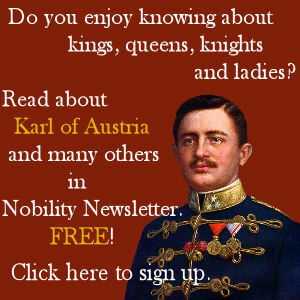 ), was published by P. KUNTZ, C.SS.R., director of the Roman archives of his Congregation. An English translation in five volumes is included in the 22 volumes of the American centenary edition of St. Alphonsus’s ascetical works (New York). There are many editions of the Saint’s Moral Theology; the best and latest is that of P. GAUDI, C.SS.R. (Rome, 1905). The Saint’s complete dogmatic works have been translated into Latin by P. WALTER, C.SS.R., S. Alphonsi Mariae de Liguori Ecclesiae Doctoris Opera Dogmatica, (New York, 1903, 2 vols., 4to). See also HASSALL, The Balance of Power (1715-89) (London, 1901); COLLETTA, History of the Kingdom of Naples, 1734-1825, 2 vols., tr. by S. HORNER (Edinburgh, 1858); VON REUMONT, Die Carafa von Maddaloni (Berlin, 1851, 2 vols. ); JOHNSTON, The Napoleonic Empire in South Italy, 2 vols. (London, 1904). Colletta’s book gives the best general picture of the time, but is marred by anti-clerical bias.